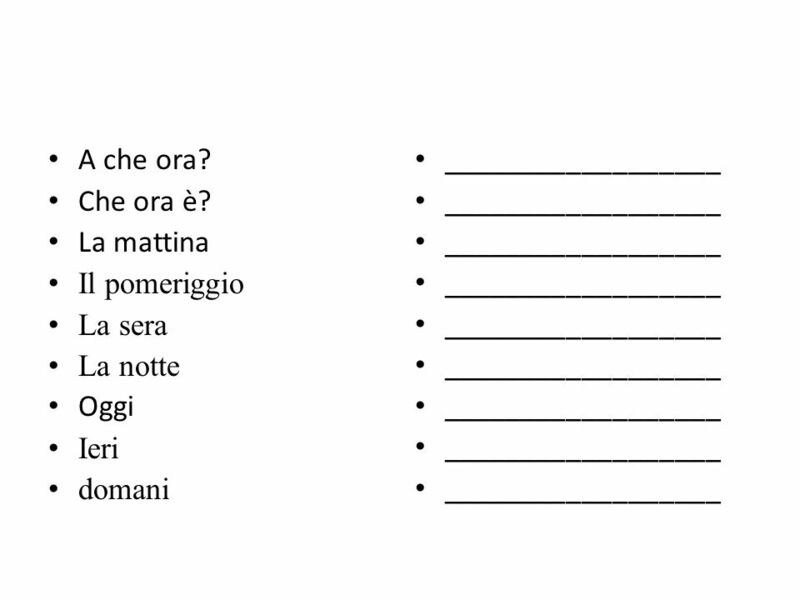 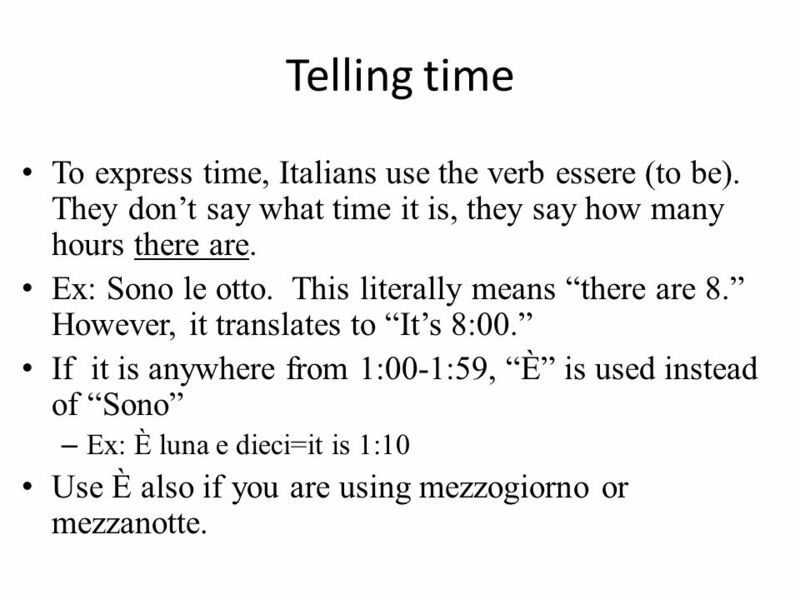 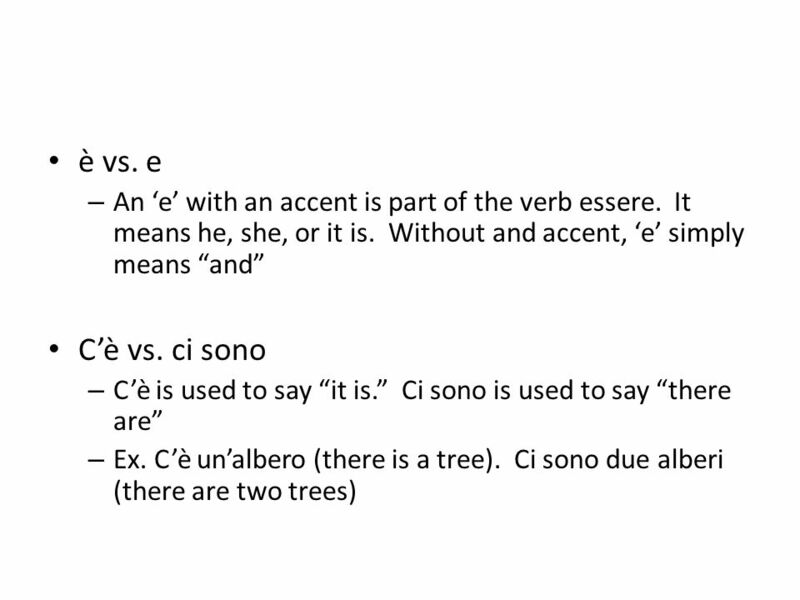 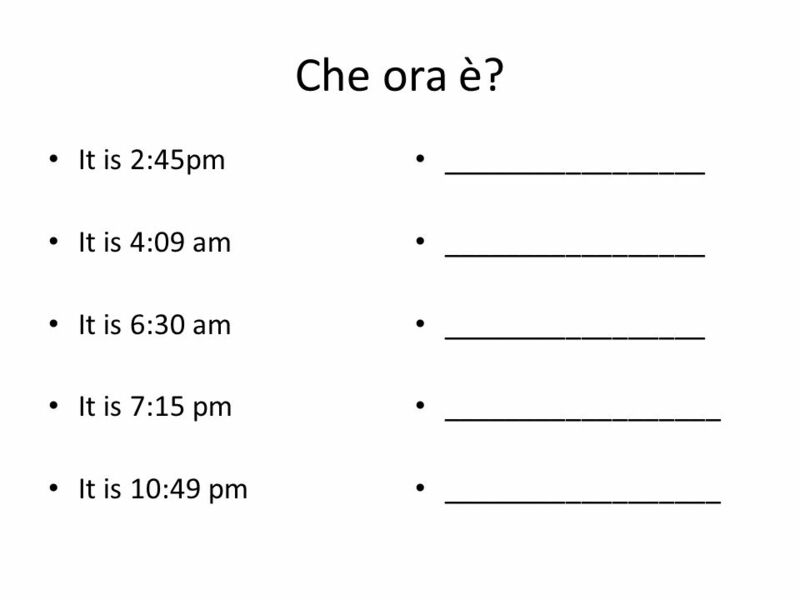 8 Telling time To express time, Italians use the verb essere (to be). 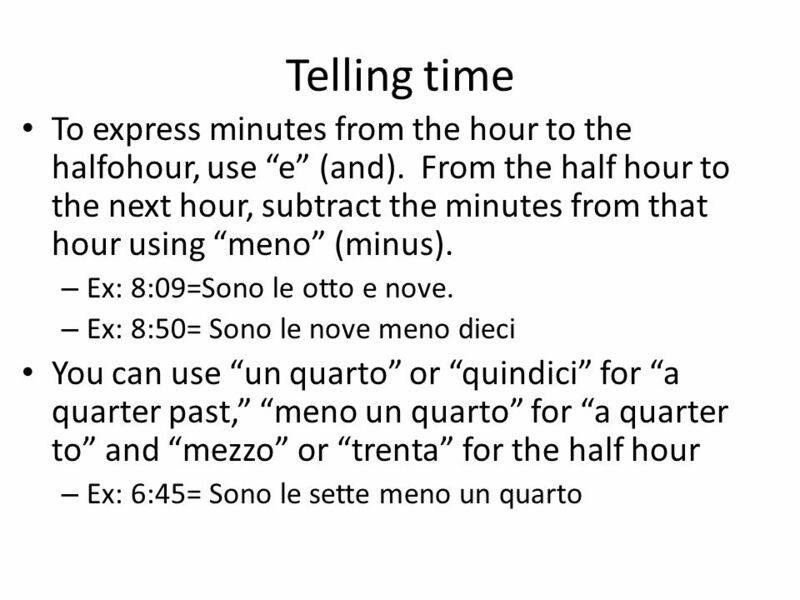 They don’t say what time it is, they say how many hours there are. 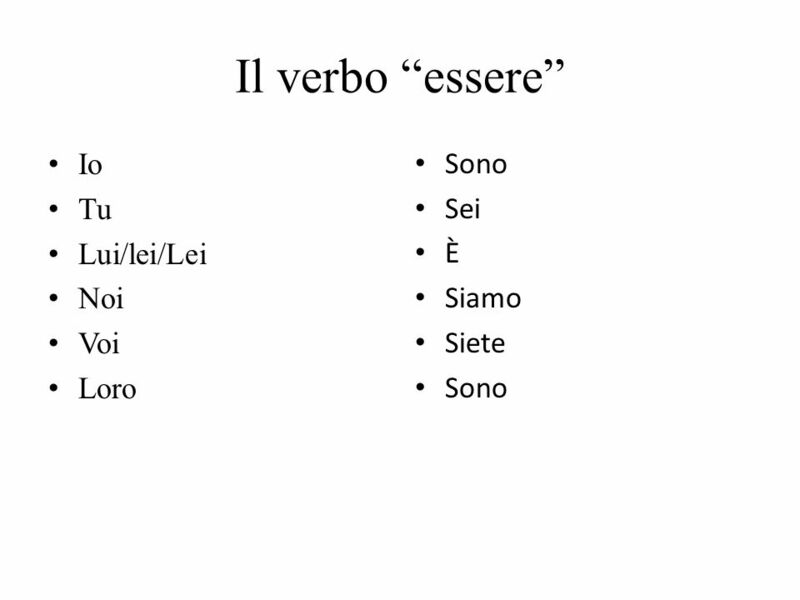 Ex: Sono le otto. 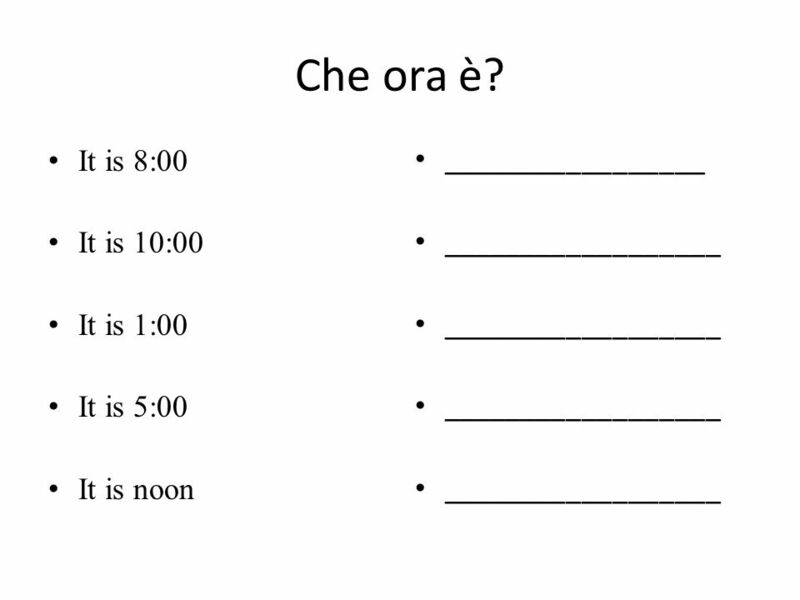 This literally means “there are 8.” However, it translates to “It’s 8:00.” If it is anywhere from 1:00-1:59, “È” is used instead of “Sono” Ex: È luna e dieci=it is 1:10 Use È also if you are using mezzogiorno or mezzanotte. 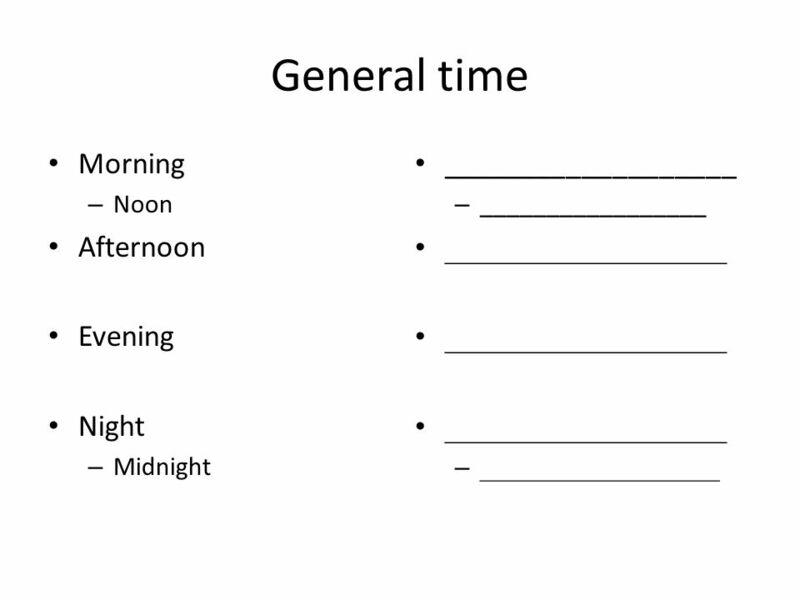 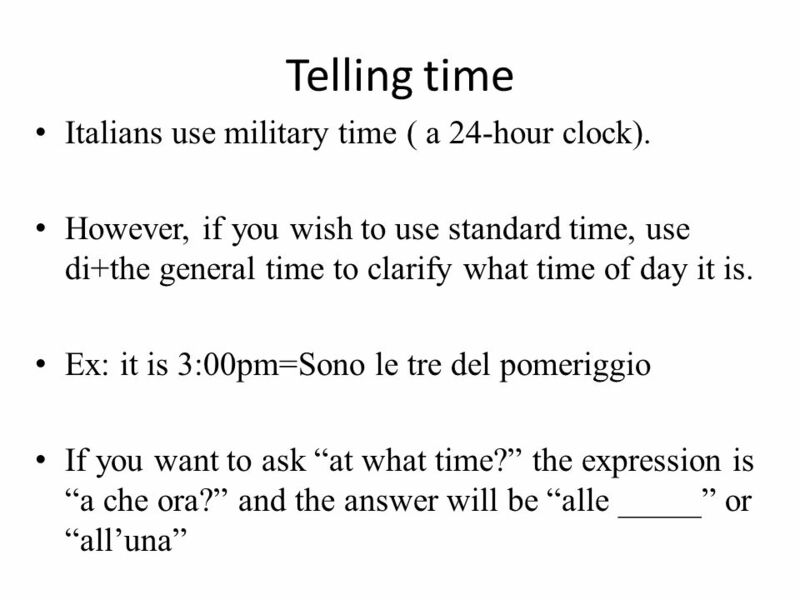 11 Telling time Italians use military time ( a 24-hour clock). 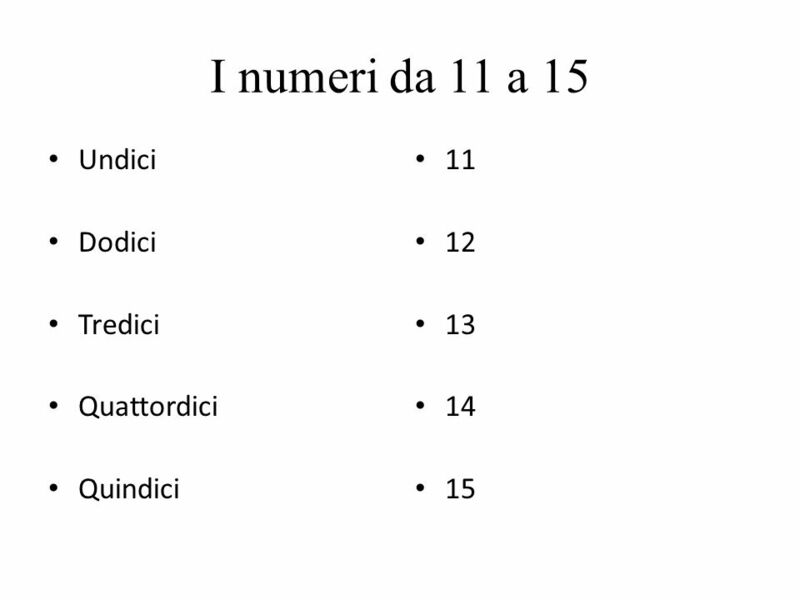 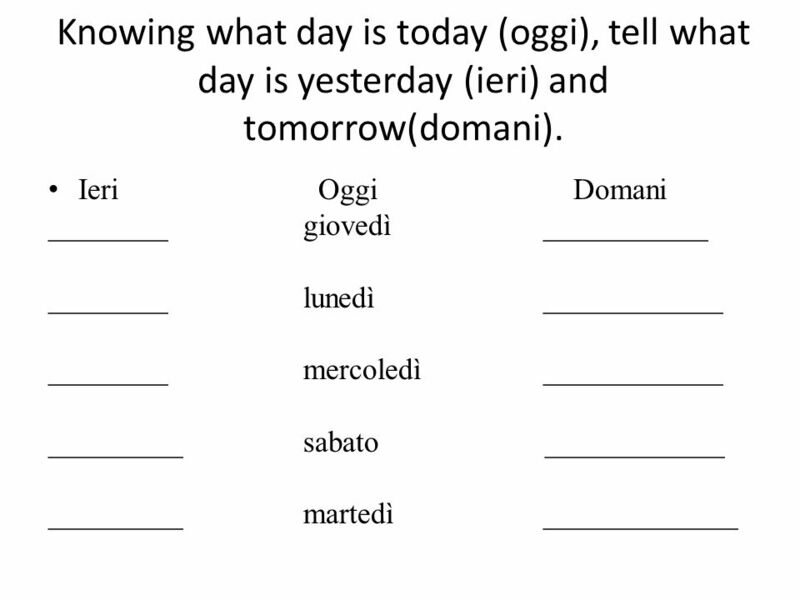 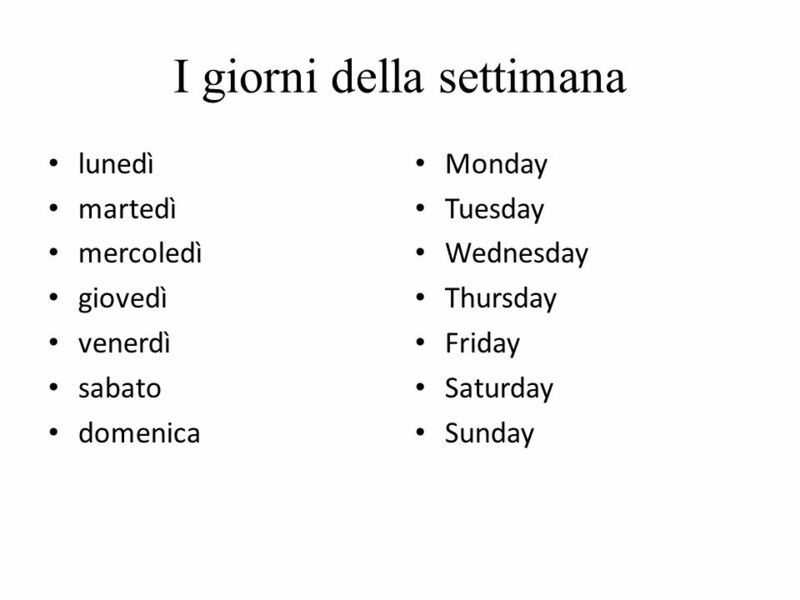 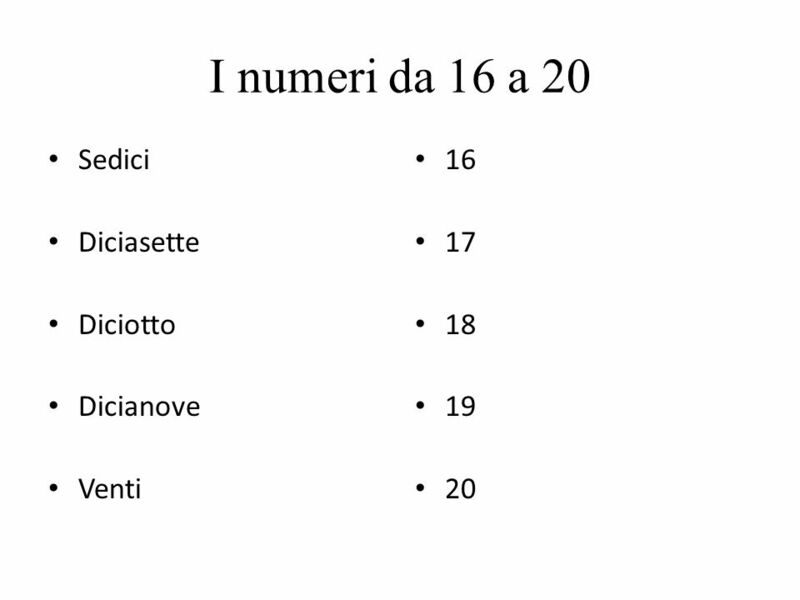 15 Knowing what day is today (oggi), tell what day is yesterday (ieri) and tomorrow(domani). 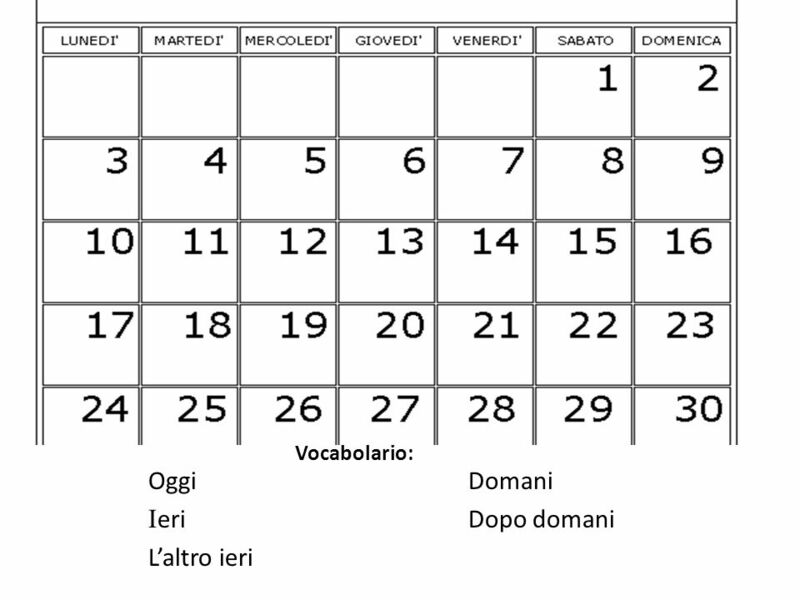 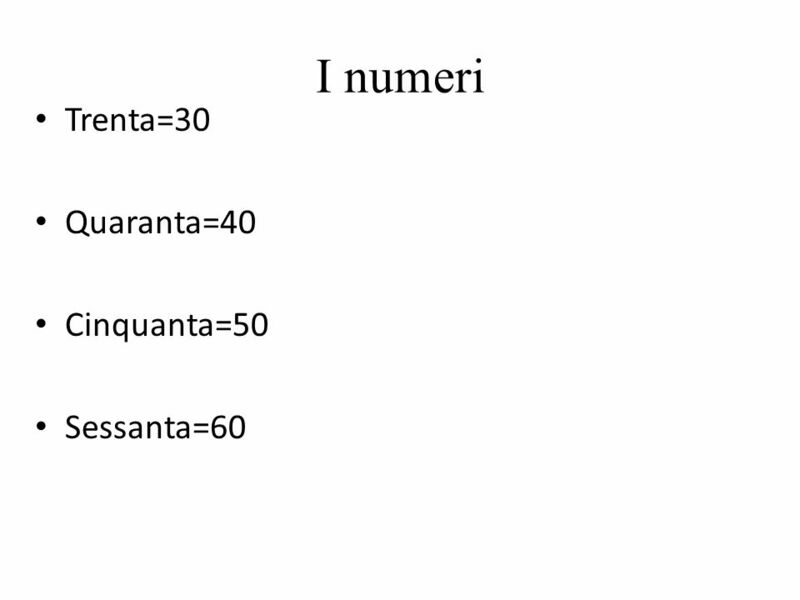 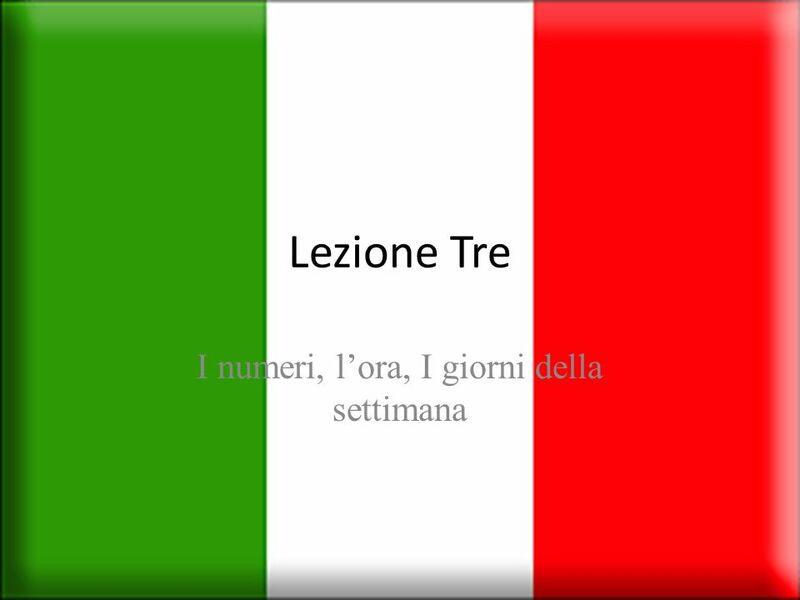 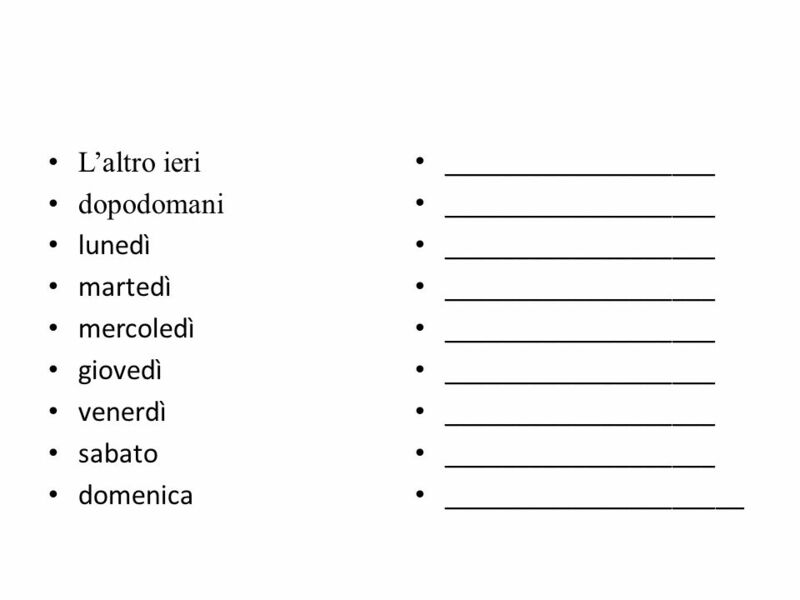 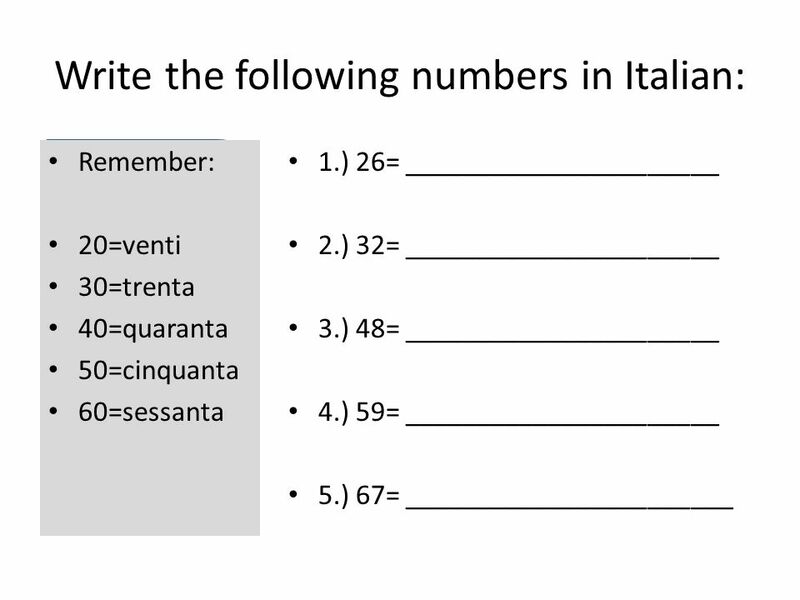 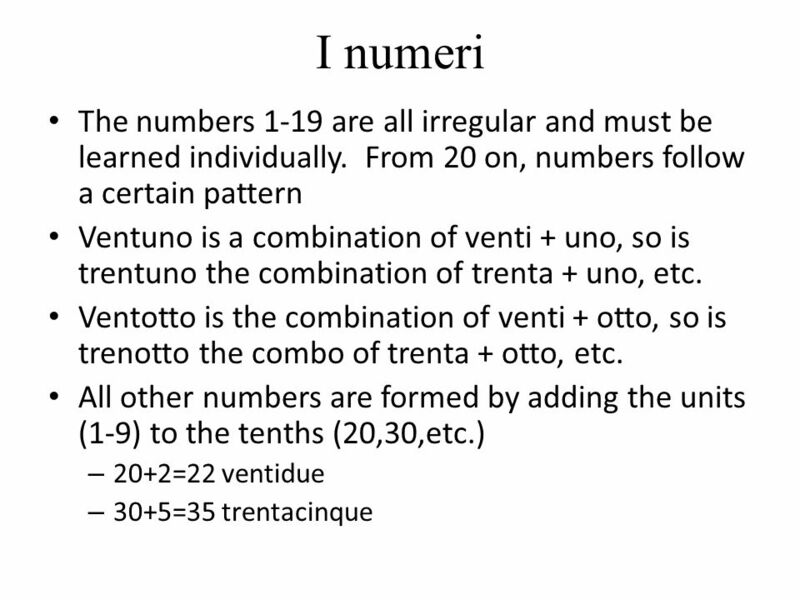 Scaricare ppt "I numeri, l’ora, I giorni della settimana"
Qual è la differenza e quando li usiamo?